Summer is fast approaching. It will soon be road trip season. 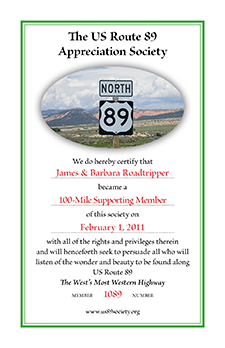 It’s time to start making plans for your driving vacation and I hope you’ll be heading for US Route 89. 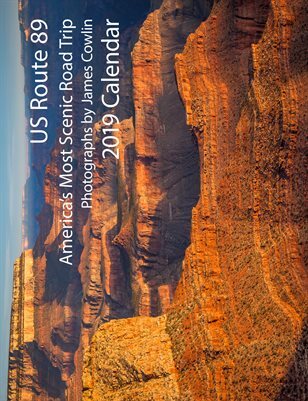 We’ve got plenty of information on our website and you can order the US Route 89 Road Trip Map Book to carry with you. Unless you live on or very near highway 89, you’ll be wanting to figure out the best way to get there. Here are nine suggestions for making your road trip more memorable. 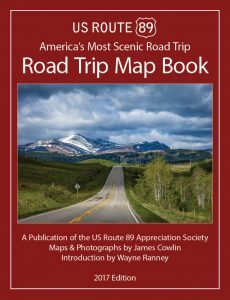 One essential tool that I always take on a road trip is a book of topographic maps like the ones from DeLorme or Benchmark. These books give you fine grain detail such as roads through National Forests and places to camp. They also show the terrain and label the landmarks. Knowing the names of the mountains, lakes, rivers and valleys helps me recall the places visited and photographed along the way. And the names themselves reveal interesting or unusual facts when you find out their meaning or origin. The one problem with printed maps is calculating driving distance and time. Sure, you can add up all the little numbers along your route and take a guess at how long it will take. But it is much easier to use online maps to do the calculations. Online maps also offer many bonus features which can make planning easier. For straight forward and easy to use route mapping, you can’t beat Google maps. Use the search box to find your starting point, either a complete street address or just a town and state, and Google will zoom in on the location. Click on Get Directions, and enter your destination. Google will plot a route and give you turn by turn directions. If there are possible alternative routes, Google will show those, too. Roll over the alternate to see it on the map. Click it to get turn by turn. You can also plot your own alternative by dragging the route line to a new location. If you are true believer in taking the slow road, click on Show Options and check Avoid Highways. Presto, Google plots a non-interstate route. You can keep adding destinations until you have your entire trip planned. Wunderground’s trip planner uses Google Maps with one big difference—weather information. When you enter your starting point, you also enter the date and time you are going to start. When you then enter your destination, Wunderground plots the route and adds the weather forecast along the way. Of course this only works if your starting date is within the next seven days. Wunderground is a great tool to use just before you start or once your on the road. You can use it to anticipate weather conditions and alter your plans if necessary. As the name implies, My Scenic Drives has descriptions of scenic roads from many areas of the country. If you as planning to be in a specific location, you can search for a place to indulge your need to get off the interstate and drive through a beautiful place. The real gem on this site is the road trip planner. It has many features that take time to learn but once you get the hang of it you’ll be impressed. I suggest watching the introductory video before you start. When you enter your starting point and destination, the program calculates the total time and distance and then breaks up the trip into eight hour days. (You can change that in the options.) You can then show nearby attractions and scenic drives and select the ones you want to include. You can also add your own waypoints. Once you’re done, print it out or download it to your GPS. One thing I like about My Scenic Drives is that the advertising doesn’t get in the way. You can easily find accommodations at selected stops and book your stay, but it is an unobtrusive add on. Once you have your trip mapped out, you will want to add details such as roadside attractions to visit and special places to eat. Check out these three websites to round out your trip. 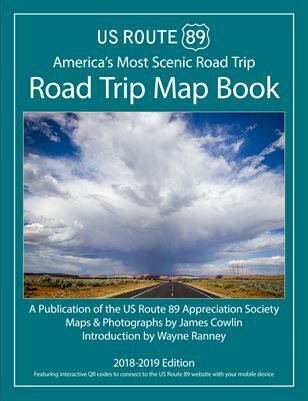 While Road Trip America does offer route planning based on Google Maps, its real strength is in its catalog of routes and attractions. Search under the Routes and Sights tab and you’ll find short drives and attractions that you never knew about. The descriptions are well-written and detailed enough so that you get a good sense of the drive. It is fun to just spend time reading through the site getting ideas for a trip. You can also sign up for an email newsletter and the trips will show up in your inbox. Road Food is the creation of Jane and Michael Stern who travel the country looking for the best in regional and traditional food. These are not your five-star establishments which doesn’t mean the food isn’t good. For the most part they recommend places that have a history and a following and serve up well-prepared but unpretentious fare. You can search the website by location or by type of food and read reviews by the Sterns and others. They have also published five books which contain many more eateries than are listed on the website. 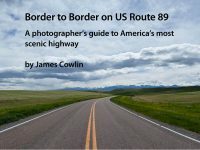 There a quite a few road trip planning websites out there. Many of them seem to be designed only for the purpose of booking hotels and are not worth the time. One even forced me to download a browser toolbar in order to make a plan. It took me about ten seconds to realize that that was a mistake. I feel comfortable with the recommendations which I’ve made but I’d like to hear your feedback. If you use a road trip planning website, let us know about it in the comments below.